Can you make a decision between having a delicious filet mignon or a prime rib? How about the choice whether to have a batch of crispy french fries or a handful of chips? It’s a tough choice, isn’t it? 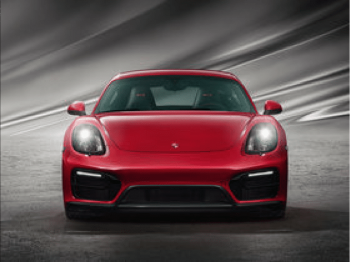 Now imagine the difficulty you may face when deciding whether to purchase a Porsche Cayman or a Corvette Stingray! It puts choices into perspective! Surprising, isn’t it, that two such names in the car industry are creating vehicles that can compete against each other? Porsche compared to Chevrolet? But it’s true. The Cayman GTS and the Stingray are two vehicles that can easily be compared and contrasted against each other – and the winner may not be immediately obvious. Both would be amazing options to have sitting in your driveway, but which option is the best choice for you? When you read the specs for the two cars, you’ll see that they’re a little bit different. If you go strictly by the numbers, it looks as though the Stingray is the winner and the best vehicle to purchase. It has a larger V8 engine, has more torque and more horsepower. The Cayman, however, can hit a much higher top speed than the Stingray. The numbers, however, don’t tell the whole tale. Before you visit a Porsche dealership in Florida or take the time to try to find a Stingray, it’s important to look at the whole picture. While the numbers show off the prowess of the Stingray, they don’t say anything about style. If you were to pit the two vehicles against each other in a style battle, you’d find that the Cayman will win every time. Why? The main reason is because the design is so sporty but at the same time utterly classic. The exterior of the Stingray looks much like a Hot Wheels car with the sporty, low-to-the ground lines and the sleek exterior. The Cayman GTS, however, has a much more distinctive design. The front of the vehicle is lower to the ground and then slopes up into a teardrop design. Both vehicles have a small spoiler in the back to keep their bodies on the ground because with the speed that both of these vehicles can go, staying on the ground can definitely be a concern. The interior of the vehicles is where you see the real difference. The interior of the Stingray is designed for drivers who want a thrill. It has the colors, bright red against a deep black, that scream sports car. The aesthetics definitely fit for someone who loves the racing scene. The interior of the Cayman, however, is much more understated. It has a more minimalist design with only the essential buttons and knobs in the vehicle with a straight black interior. Simply put, it looks – and feels – like a high end luxury car and effortlessly exudes sophistication and elegance. Now we have to talk about performance. It is important to note that the performance of both of the vehicles is remarkably similar, even though one has a 6 cylinder engine and the other is a V8. Both are able to hit high speeds and even with the smaller engine, the Cayman is able to keep up with the Corvette thanks to the lighter weight on the body. Experts all agree that the way the Cayman cycles through the gears is remarkably seamless and smooth. Additionally, Porsche features some seriously advanced chassis tech. Due to the adaptive dampers, which control the movement of the suspension thoroughly and the active gearbox, this is one car that will go when you want it to and that will stop immediately when you need it to as well. So which choice is the best one for you? The Corvette Stingray looks very similar to a toy sports car; its slightly juvenile look may be too young looking for more discerning drivers. Both the interior and the exterior of the Porsche Cayman, however, are sporty enough to keep any serious driver happy while, at the same time, looking sleek and mature. 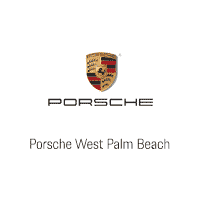 If you’re looking for a vehicle that is high quality and steeped in luxury, you may want to find a Porsche dealership in Florida to check out the Porsche Cayman.